On a night laced with the chill of a dawning winter I left the Heath Ledger Theatre in a state of amused bewilderment. You see, when you leave a play like Endgame, it is hard to quantify what exactly it is you've just seen- or indeed even think you've seen. Despite this, the minutes slink by, and slowly but surely, you begin to feel the wiser for having witnessed such a spectacle of narrative nothingness; a regurgitation of ideas and irony and perhaps the most confronting thing of all: a whole lot of truth. The work revolves around a miserly, house-ridden Hamm (played with impeccable comic timing by Geoff Kelso) who is unable to stand. He exists with the aid of his resentful, yet loyal servant-son Clov, who is unable to sit and is portrayed with great depth by the immensely talented Kelton Pell. 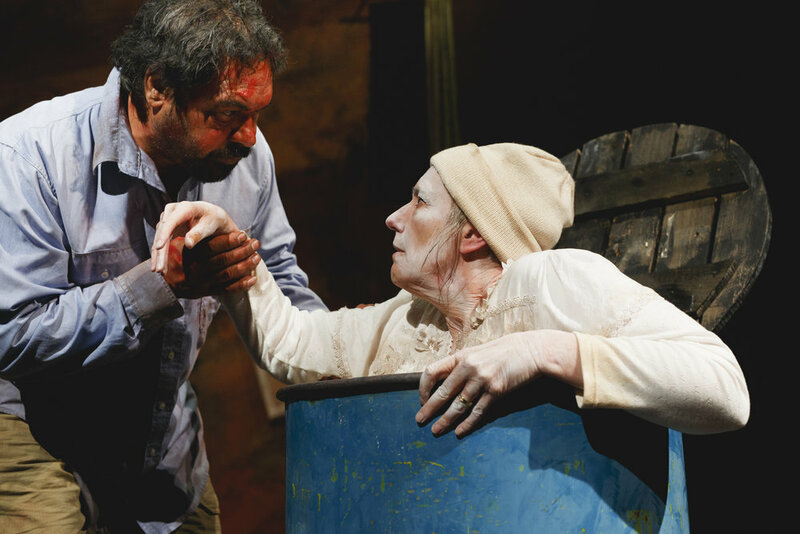 Hamm’s Parents, Nell and Nagg (brought to life with wit and banterous delight by Caroline McKenzie and George Shevtsov) are kept in barrels in the corner of the house in which Hamm confines himself, suppressed by their son and providing a constant stream of absurdist musing. The end is near, the endgame, and the characters wait for their fates covered by a shroud of purposelessness. 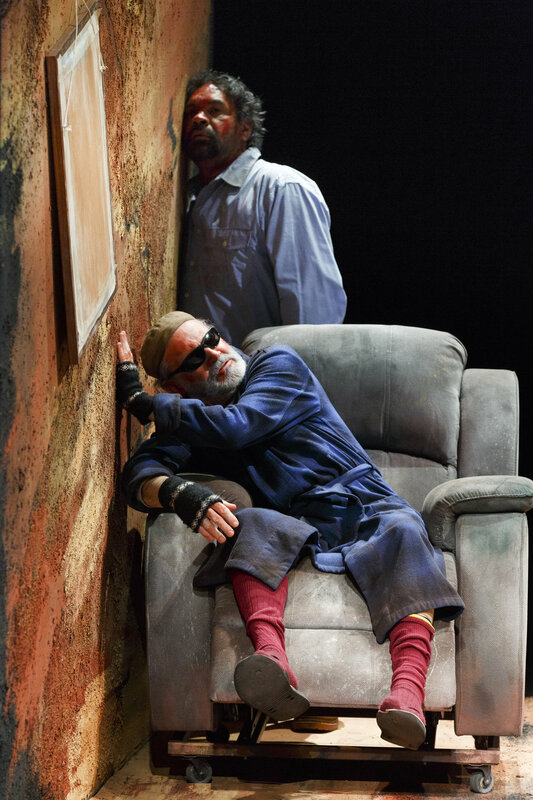 Black Swan State Theatre Company’s production of Endgame, Samuel Beckett's classic genre-defining absurdist work, perfectly captures the bleak idea of life’s utter meaninglessness. Director Andrew Ross has excelled in bringing a 60 years old play to an audience of an almost entirely new context; unused to plays cloaked in such a sense of aimlessness in an information and feeling saturated digital age. Dialogue comes in random staccato bursts interchanged with cascades of directionless conversation, often feeling like white noise amidst the confusion of figuring out what on earth is actually happening on stage during a ‘scene’. It is hard to describe any single plot that the play is anchored upon; it acts more as an analysis of the four central characters who are representative of the wider human population. Special mention must be given to Tyler Hill, the set and costume designer. In the opening seconds of the production, as the stage is filled with light, the glorious colours and patterns of the house-shaped backdrop are revealed in a fiery blaze of earthy reds, browns, gold and black; a beautiful tribute to the Indigenous peoples of our land. The result is magnificent, creating a deeper layer of meaning for the Australian audience member as the idea of connection with the land is explored in moments throughout the play. Endgame is a play that arrests you, shocks you, makes you laugh, frown, and ultimately think. In a world full of the struggles of purpose-seeking and self-absorption, plays like this move you to view life, and the world, from a different perspective as a human being. The endgame is coming for all of us. After all—what do we amount to in the end but souls and stardust? Catch Endgame at the Heath Ledger Theatre from May 27th to the June 11th. be sure to check out the programme HERE, and grab your tickets HERE!